During these period, I have added more functions on the Qoot robot display function and start to read the hardware specification on the new OLED wihich will arrive soon. 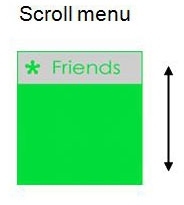 the two major function is the friend list rotation and the animation display. The animation display is to diisplay some simple animation whch is the eating bean animation which "cute guy" will eate bean from left to the right repeat. at the same time, the text blinking will also be displayed concurrently. The other is the friend list rotation. I have successfully rotate the friend list which is a short simulated one on the screen of OLED by pressing the puch button on the development board, which is used to simulate the rotate up and down signal.